i've been beginning for the past 6 months. i've been beginning for the past 3 years. but there are a couple exciting little peaks on the horizon. it's a perfect blustery rainbow of fall in my little mountain village. and i've been working like the Madwoman of Marshall, clacking that loom with abandon. and the fruits of my labors are getting juicy and plump...ripening crisp....getting ready to fly into the hands and homes of folks looking for something sweet. my first appearance on One Kings Lane will happen in One Royal Week! they've been such a delight to work with, and i've been amazed at they're enthusiastic support of such a diverse range of artisans. those apples are from my trees. 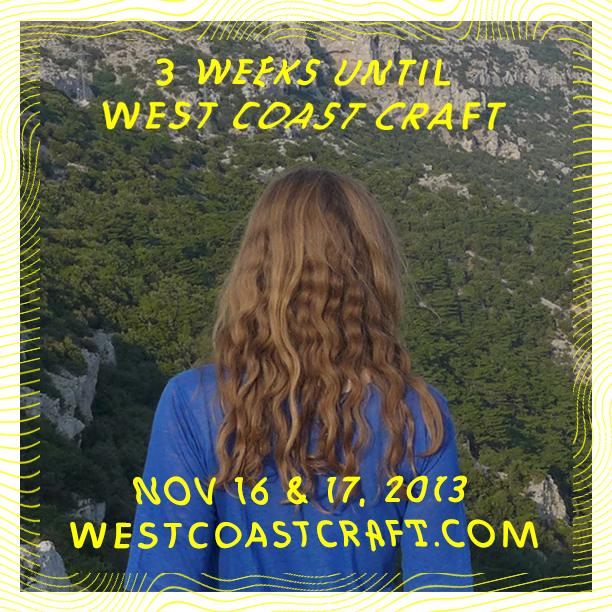 furthermore, i'll be joining the sparkling and inspiring community of makers at West Coast Craft in San Francisco in a mere couple weeks. can't wait can't wait can't wait to see some of my Bay Area sweethearts. if you're in the area, please swing by and give us winks and smiles. our sweet and humble new abode is sweetly and humbly housing us. we're building the woodshed to house our wood, and the worm bin to house our worms. i'm most highly looking forward to A Little Weather revealing itself to the world alittle more this winter, but i must say- i'm really hoping to find some time to continue to explore this vast, shining, steeped in craft-wonder new home i've found myself in.